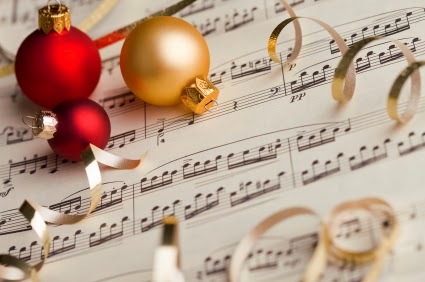 The Times New Roman: Music Monday: Christmas Playlist! 1. "Santa Baby" by Eartha Kitt, 1953. 2. "Rockin' Around the Christmas Tree" by Brenda Lee, 1958. 3. "I'll Be Home for Christmas" by Bing Crosby, 1943. 4. "Christmas (Baby Please Come Home)" by Mariah Carey, 1994. 5. "Winter Wonderland" by Ray Charles, 1997. 6. "Happy Xmas (War Is Over)" by John Lennon, 1972. 7. "Have Yourself a Merry Little Christmas" by Judy Garland, 1944. 8. "Have a Holly Jolly Christmas" by Burl Ives, 1965. 9. "Merry Christmas Baby" by Chuck Berry, 1964. 10. "Rudolph the Red-Nosed Reindeer" by The Temptations, 1968. 11. "Silver Bells" by She & Him, 2011. 12. "I'll Be Home or Christmas" by Elvis Presley, 1957. 13. "Let It Snow! Let It Snow! Let It Snow!" by Frank Sinatra, 1950. 14. "O Holy Night" by Ella Fitzgerald, 1967. 15. "White Christmas" by Bing Crosby, 1954.